Often while traveling, your emotional response to a place is just as memorable as the place itself. Perhaps it’s the overwhelming feeling of awe and smallness when looking up at Bridalveil Fall in Yosemite. Or maybe it’s the woozy, toe-tingling sensation from peering over the top of the Leaning Tower of Pisa. I spent the first week of July in sunny Provence and visited two places that struck a deep, almost haunting emotional chord. The Sourge River is fed by a huge network of underground channels and emerges from the ground at the Fontaine du Vaucluse. It is the largest spring in France, and one of the largest in Europe–after snowfall, it can reach flows of 110 m3 per second. Depending on the season, the source can be hidden beneath a lush, powerful stream. When the water level drops and the stream passes only underground, however, you can actually see the spring. 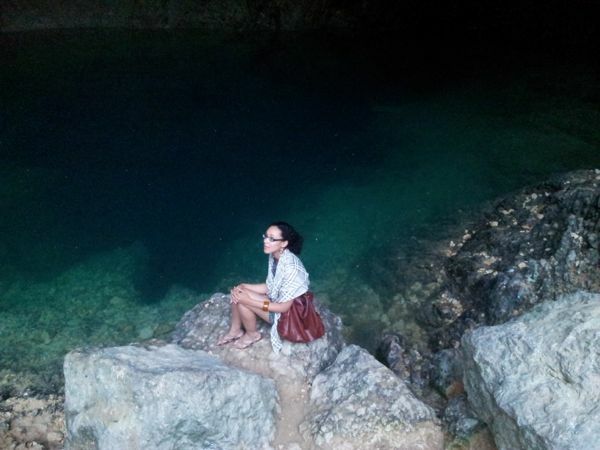 It’s an immense cavern with a pool of endless turquoise- and lapis-colored water. Vertigo is something other than fear of falling. It is the voice of the emptiness below us which tempts and lures us, it is the desire to fall, against which, terrified, we defend ourselves. 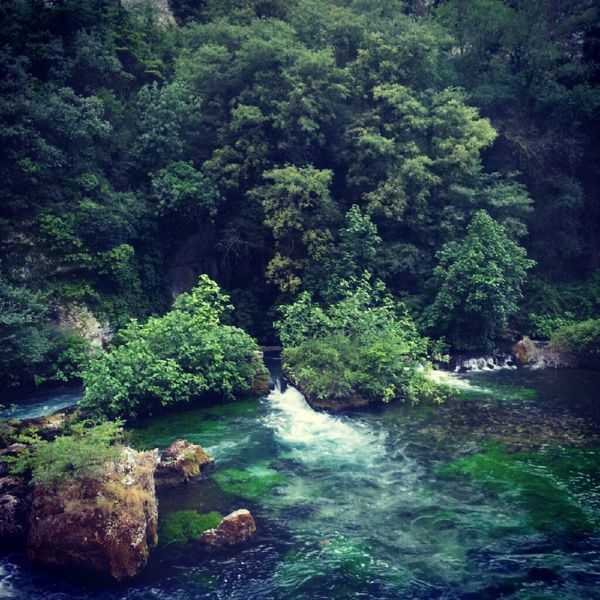 It’s no wonder that Fontaine de Vaucluse is the source of so many legends; in fact, scientists still do not completely understand the nature of this massive spring. 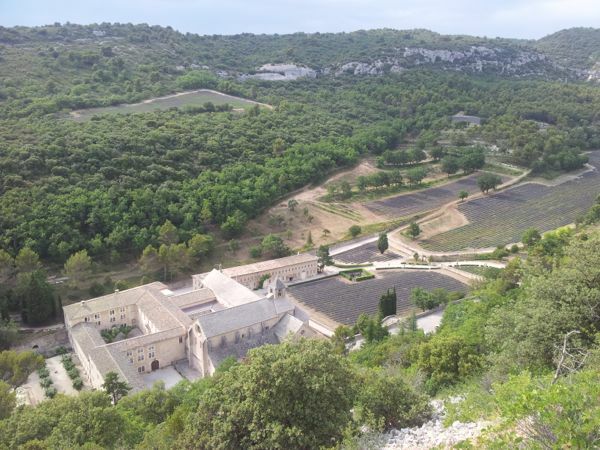 While in Provence, I also visited Senanque Abbey. Senanque, which is still inhabited by monks, was founded in the 12th century. The Abbey is famous for its fields of lavender, which are cultivated by the monks as a source of livelihood. Although I am not a religious person, the experience of sitting in the abbey’s church as the sun began to set was almost transcendent. The Romanesque church is unadorned–almost austere. The unpainted stones bear marks left by craftsmen some 800 years ago to mark their work. There was a slow, pulsating silence that made the church feel like a womb or the bowels of a boat. Unlike Baroque churches, which use adornment and embellishment to establish an otherworldly atmosphere, the church at Senaque used nothing but air and light to powerful effect. I was hypnotized. Have you ever been an “emotional tourist”? 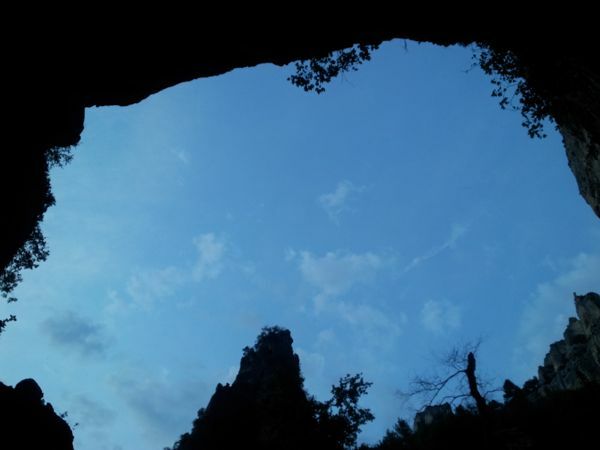 What places have you visited that resonated with your emotions–awe, fear, peacefulness, inspiration? *Photo 6 by Holly Hayes. This entry was posted in Explore and tagged camilla, explore, fontaine du vaucluse, france, lavender, provence, senanque, travel.